If you have not personally suffered a pregnancy, infant, or child loss, please skip to the next section on the following page, Volunteer Interests. Please share the names of the child(ren) you lost, or the type of loss you've experienced (miscarriage, stillbirth, infant, child, teenager). Please share with us the circumstances around your child(ren)'s death and/or the type of loss(es). How many subsequent pregnancies after loss have you had? Where are you in your current pregnancy after loss journey? If other, please describe what position you'd be interested in. If yes, what are your credentials, and where do you currently work? For example: management, computer skills, bookkeeping/accounting, graphic design, photography, PR/media relations, writing & editing, fundraising, development, crafting (sewing, knitting, crocheting), legal, public speaking, legislative/advocacy. If you are applying to be a monthly contributor or a Bump Day Blogger, please attach a writing sample for consideration. Due to the number of applications received, applications without writing samples will not be considered. 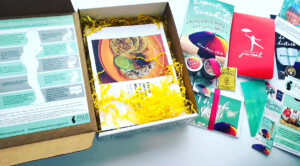 Bump Day Bloggers' samples should include a pitch about why you should be our next Bump Day Blogger, as well as a sample blog post (between 500-800 words). Bonus: share a photo that you would like published with your sample blog post. Accepted file types: txt, doc, pdf, jpg, png. The Monthly Contributor writing sample should be an original piece of writing you hope to have published at PALS as your first article, between 600-1000 words. Bonus: share a photo that you would like published with your sample article. Do you write about loss and/or pregnancy after loss at a personal blog? Please share your blog. Have you written for any other online magazines or blogs? Share the URL of a few pieces you think we should read. Please provide three references we can contact. Please include a name, address, email, and the nature of the relationship for each reference. While it is optional for you to provide the following demographic information, it is strongly encouraged. We use this information internally to better identify the best fit for your volunteer efforts, optimizing your skills and your preferences. We also have a robust Employer Matching Program through our Fiscal Sponsor, Star Legacy, such that your volunteer contributions (hours) can often go further in making contributions to our Foundation. Please agree to the following statements in order to complete your application. 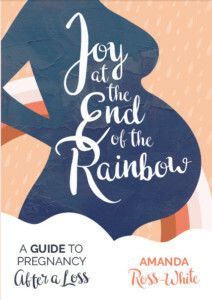 Pregnancy after loss is a unique experience of grief and joy that requires recognition from family, friends, peers, and professionals. There is limited information, resources, and support for the mom who is pregnant again after a loss, and she deserves more support and guidance during this time in her life. Peer support is an integral and effective part of the healing process for the bereaved mother and, by extension, for the mom who is at any stage of her trying to conceive, pregnancy, and parenting after loss journey. Nurturing the mom’s grief and mourning that comes from the death of a child is an important part of creating attachment to both the child who died and learning how to lean into the celebration and attachment of the child she is carrying. Choosing to embrace both the fear of losing another child and the hope for a baby who lives during the subsequent pregnancy after loss is a courageous act. Sharing our stories makes us stronger and helps others become stronger. Pregnant after loss moms are at the core of everything we do. We are bereaved-mom and PAL-mom focused, with an emphasis on delivering information through technology and supportive peer-to-peer services. Our work is driven by the PAL moms’ needs. Pregnancy After Loss is a family issue, therefor a societal issue. Healthy moms lead to healthy babies. Pregnancy after loss is both a women's health and a children’s health issue. Access to peer support improves a mother’s mental health by reminding her she is not alone in this challenging journey of pregnancy after loss. PAL moms have the right to trust their motherly instincts and advocate for her and her baby’s health needs. I have the right to grieve my child or children that have died and/or the previous pregnancies I have lost. I have the right to be sad about my loss(es) during my current pregnancy. I have the right to be scared, anxious and afraid. I already know what it is like to lose. I know how it feels to have the “It will never happen to me” actually happen to me. I have already had the worst happen, and I know it could happen again. Please don’t diminish my reality by diminishing my fears. I have the right to receive support. I need it now more than ever. Especially from my family, friends, other bereaved and PAL moms, mental health providers, and my pregnancy care team. I have the right to seek reassurance from others when needed. I also have the right to turn down reassurance that others give me that I did not ask for and do not want to hear or believe at this time. I have the right to be believed by health care providers. I am the expert on my body, my baby, and this pregnancy, and my concerns should and will be taken seriously. If they are not taken seriously, I can and will find a doctor or midwife who will respect my experience and expertise of knowing myself and listen to my needs. I have the right to plan for and have the birth experience I choose. Be it a at home, hospital, or C-section birth, I have the right to plan and hope for the birth experience that I will find the most healing. I understand firsthand that life doesn’t always go according to plans, but I still have the right to plan for things being different this time. I have the right to not attend baby showers, birthday parties, holidays and any other events that are triggering for me. Declining an invitation to a baby shower during my pregnancy after loss is not self-centered or rude; it’s called self-preservation, which we all have a right to want and enact during our pregnancy after loss. I have the right to feel joy and hope for this new life I carry inside of me. I am free to hope that this child will bring me some sense of healing and joy back into my life. I have the right to NOT be okay. I have been through one of the worst experiences a person can go through; I have lost a child and the mothering of that child. Because of this I have earned the right to not be all right during this pregnancy after loss. If someone has a problem with that, then they might not be someone that can be in my life right now. I have the right to remember my child(ern) that died and/or the previous pregnancy I have lost. Just because I am expecting again does not mean I have stopped grieving all that I have lost. I have the right to celebrate or not celebrate this pregnancy. Pregnancy after loss is hard. It might be the hardest thing I have ever done after losing my child. I have the right to be confused about the dance of joy and grief that continually flows through me as I expect new life while grieving another. Empathy - We lead with empathy. Everything we do comes from the heart. Our goal is to wrap the pregnant after loss (PAL) mama in a blanket of loving kindness, respect, and non-judgmental understanding and validation that this journey is hard. Support - We are courageous PAL mamas offering other courageous PAL mamas peer-to-peer support. The backbone of what we do is based on a mutual support model that empowers all PAL mamas to lean on each other during this difficult time, either through writing, peer groups, or advocacy efforts. Inclusive - We do not define losses, compare them, or judge whose loss or PAL journey is more difficult than another. We include anyone who has had a loss and makes the courageous act of considering the journey of pregnancy and parenting again after a previous loss at any stage or age. Acknowledging Grief - At PALS we do not forget why this subsequent pregnancy is so challenging. We honor our children who have died, as well as other losses that accompany losing a child. We acknowledge our grief, attend to it, and nurture it, as we would the child we have lost. Nurture - We believe that nurturing each other and ourselves is of utmost importance as we walk the road of grief and joy after loss while trying for and carrying new life inside of us. Hope - At PALS we will hold onto hope for you if it’s too hard for you to do right now. We believe hope is what gets the PAL mama through each difficult day of this journey. Hope is what we provide for other courageous PAL mamas. Hope is what other courageous PAL mamas provide us. Quality - At PALS we strive to provide quality writing, programming, and evidence-based information for our community. Mindfulness - When we are offering support to others we are mindful of our own needs and self care as we create, take, and give to others who are also need their place, space, and time within PALS groups and community. We practice mindfulness in our own lives to foster peace and calm through the challenging pregnancy after loss journey. Boundaries and Limits - At PALS we believe in having and maintaining effective emotional and relationship boundaries with peers. As we provide support to others it’s important to know our own limits. Enforcing our own boundaries in relationships when helping others, along with practicing adequate self-care, helps us help others. I understand and agree that submitting this application form does not automatically register me as a Star Legacy Foundation/PALS volunteer, and that there may be certain qualifications I must meet, including the acceptance of the following established volunteer policies and procedures before I may begin volunteering. Code of Conduct: I desire to serve as a volunteer with the Star Legacy Foundation/PALS (the “Foundation”) and help further its stated mission. As a volunteer, I understand that I may be exposed to confidential information that is defined as inside, personal or sensitive information, and may include contact information, health information, or personal experience stories. By agreeing to this Code of Conduct, I am prohibited from sharing or disclosing this information for any unauthorized purpose, including personal benefit. In all situations in which the Foundation is involved, I promise to conduct myself according to the standards set forth in the Star Legacy Foundation Volunteer Handbook and I understand that it is my responsibility as a volunteer to remain professional, respectful and discreet at all times. I acknowledge that I have access to the electronic version of the Volunteer Handbook and understand the contents of the Volunteer Handbook. I have now, and in the future, the opportunity to ask and receive answers to any questions I have about the contents of the Volunteer Handbook. I also understand that I must disclose any of my outside interests that may be in conflict or competition with the interests of the Foundation or that stand to benefit from my involvement therewith, and then refrain from participating in any discussions pertaining to those conflicts. I understand that the Foundation is not financially or otherwise liable for injury or casualties that occur to anyone while serving as a volunteer for the Foundation. I hereby grant the Foundation specific permission to reproduce, publish, circulate, copyright, or otherwise use any and all photographs and/ or videotape of me and/or my family taken at any volunteer event, for use by the Foundation. CODE OF CONDUCT CERTIFICATION AND DISCLOSURE By selecting the "I agree" check box, I certify that I have read and understand the Star Legacy Foundation’s Code of Conduct, I have the opportunity to download and read the Volunteer Handbook at any time, and I agree to comply with the terms therein, as well as applicable laws that impact the Foundation. I also understand that should I not maintain the conduct outlined above, the Foundation reserves the right to terminate my voluntary position immediately. I also have the right to step down from my volunteer position at any time.